These are my php.ini mail settings, the same as yours. 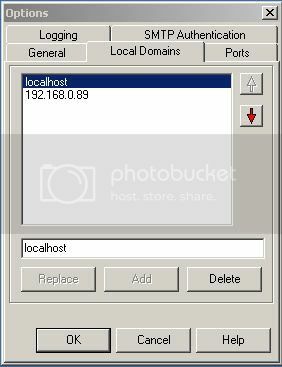 All you need to do is install the ArGoSoft mail server (or any other mail server, but I had good luck with this one) and then add the localhost domain, and make a user. Hey there, firstly many thanks for the guide, followed it step by step, great stuff. I got an error message in phpMYadmin and took me a while to figure but thought i would share just in case you missed a step or setup has changed since the guide was made. Error was: The mbstring PHP extension was not found and you seem to be using a multibyte charset. Without the mbstring extension phpMyAdmin is unable to split strings correctly and it may result in unexpected results. Solution was: Navigate to C:\WEB\PHP. Open php.ini with a text editor. Remove the ; from the beginning. Ok want to start out by saying thank you, but i get this error with my PhPAdmin. Any help would be good, dont know much about errors, but i did not edit that page. There were to many Char. And remove the ; from the start to load that module. and make sure it points to the correct extensions folder. By default, this is located in <PHP Root>/ext/. Does apache work on W7 64bit? and if it does... does this tutorial work on w7? Does apache work on W7 64bit? I believe it worked on the RC so I would be surprised if it didn't work on the final. and if it does... does this tutorial work on w7? The paths will be different... but the rest shouldn't be radically different.